Mary Ann's grandmother noticed her unusual ability when she was practically a baby. By the time Mary Ann was four years old, she was attending neighborhood funerals to broker communication between those who had died and their living loved ones. 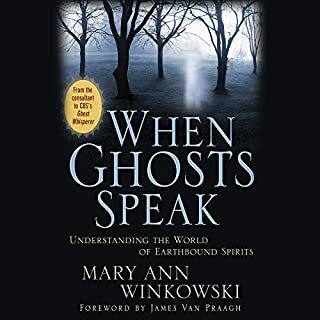 Word of her extraordinary abilities spread, and Mary Ann was soon accompanying her grandmother on "social calls", visits where Mary Ann would confront earthbound spirits who were sharing homes with the living. 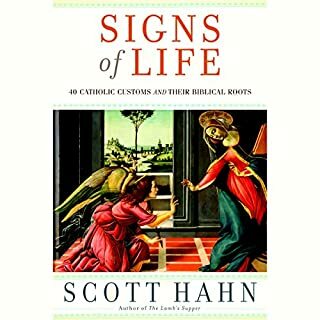 In the appealing conversational tone that has won him millions of devoted readers, Hahn presents the basic tenets of Church teachings, clears up common misconceptions about specific rituals and traditions, and responds thoughtfully to the objections raised about them. Each chapter concludes with loving, good-natured, inspiring advice on applying the Church's wisdom to everyday life. Shortly after moving into their new home, the Snedeker family is assaulted by a sinister presence that preys one-by-one on their family. 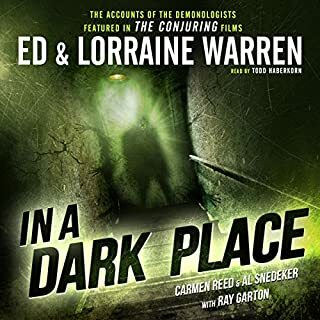 Exhausting all other resources, they call up the world-renowned demonologists Ed and Lorraine Warren, who have never encountered a case as frightening as this. In a tiny, dilapidated trailer in northeastern Oregon, a young woman saw a vision of the Virgin Mary in an ordinary landscape painting hanging on her bedroom wall. After being met with skepticism from the local parish, the matter was officially placed "under investigation" by the Catholic diocese. Investigative journalist Randall Sullivan wanted to know how, exactly, one might conduct the official inquiry into such an incident, so he set off to interview theologians, historians, and postulators. When she was nine years old, Kim Russo discovered she had an amazing gift - she could communicate with the dead. Deeply skeptical, she denied her talent for years. But as she gradually reconciled her ability with her religious beliefs, Kim embraced who she is - and ultimately accepted her soul's mission as a voice for the spirit world. 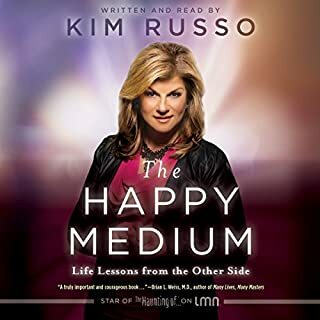 Known as the Happy Medium for her authenticity, her warmth, and her honest, positive readings, Kim has helped people from all walks of life to connect with those who have passed on. Packed full of information & things to try. Fr. Robert Barron's comprehensive work goes straight to the core of the Catholic faith. 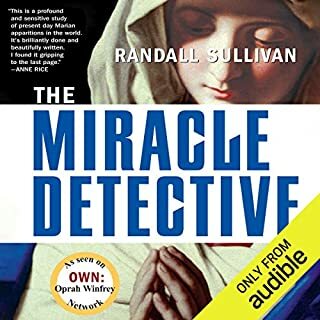 He first examines the foundations of Christ's incarnation, life and ministry, and then works through the essentials of the Catholic tradition: from sacraments, worship and prayer, to Mary and the saints, and on to salvation, heaven and hell. Throughout this epic journey, Fr. Barron uses art, literature, personal stories, Scripture, theology, philosophy and history to present a complete picture of the Church to the world. What would happen if you gave just 15 minutes of your day to God? Would your life change? You bet it would. Exercising Your Soul is a spiritual fitness program, a guide to firming up your faith that offers practical techniques to recharge and enhance your relationships with yourself, with others, and most importantly, with God. In recent years, Christians everywhere are rediscovering the Jewish roots of their faith. Every year at Easter time, many believers now celebrate Passover meals (known as Seders) seeking to understand exactly what happened at Jesus' final Passover, the night before he was crucified. Jesus and the Jewish Roots of the Eucharist shines fresh light on the Last Supper by looking at it through Jewish eyes. Demonic possession. Exorcism. Haunted Houses. Satanic Rituals. For most people this is the stuff of nightmares, horror movies, folklore, and superstition. For New York City police Sergeant Ralph Sarchie, it's as real - and dangerous - as midnight patrol…. A 16-year NYPD veteran, Ralph Sarchie works out of the 46th Precinct in New York's South Bronx. But it is his other job that he calls "the Work": Investigating cases of demonic possession and assisting in the exorcisms of humanity's most ancient - and most dangerous - foes. In 1919 Kitty Weekes - pretty, resourceful, and on the run – falsifies her background to obtain a nursing position at Portis House, a remote hospital for soldiers left shell-shocked by the horrors of the Great War. Hiding the shame of their mental instability in what was once a magnificent private estate, the patients suffer from nervous attacks and tormenting dreams. But something more is going on at Portis House - its plaster is crumbling; its plumbing makes eerie noises; and strange, cold breaths of air waft through the empty rooms. The Williams family gave into an odd, overwhelming desire to purchase and move into a Victorian home they had come upon by chance...but shortly after moving in, strange things began to happen. It became abundantly clear that the Williams' new home was haunted. In this extraordinary true story, the haunting of a Long Island household forces a respected writer and editor to reevaluate the mysteries of life and death as he struggles with the frightening truths of his childhood home and his town’s past. 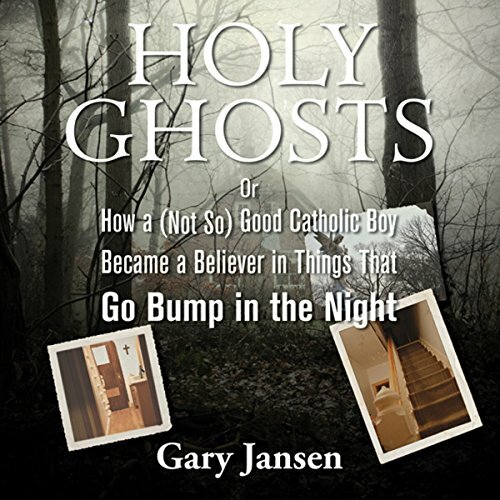 Growing up in Rockville Centre, Long Island, Gary Jansen never believed in ghosts. His mother—a devoutly Catholic woman with a keen sense for the uncanny—claimed that their family house was haunted. But Jansen never found anything inexplicable in how their doorbell would sometimes ring of its own accord or in the mysterious sounds of footsteps or breaking glass that occasionally would fill their home - or even in his mother’s sometimes unnervingly accurate visions of future events and tragedies. Though he once experienced a supernatural encounter in a Prague church as a young man, Jansen grew up into a rationalist, as well as a noted writer and editor. In 2001 Jansen moved back into the very same house where he had once grown up, to raise a family with his wife. In 2007 he encountered a frightening, full-blown haunting in his home. This was the first episode of a phenomenon that lasted a full year and eventually included unveiling the identities of the spirits who occupied his house, reliving a tragic murder in his hometown, encountering mind-boggling coincidences between local history and episodes in his household; and finally—with the help of Mary Ann Winkowski, the real-life inspiration for TV’s Ghost Whisperer—ridding his house of these uninvited visitors. Holy Ghosts is not only a gripping true-life ghost story, but a wry and touching memoir, as well as a meditation on the relationship between religion and the paranormal, which are often considered at odds, but which the author shows are intimately linked. A great read for this time of year, it seats well with winter and it's long and cold days. The book is well written and narrated. It gripped me since the 1st chapter. The pace was perfect since there is no need for it to be fast so it creates the perfect atmosphere. I'm also a Catholic and I too can related to Gary Jansen's experiences. We are all looking for answers. Even if we have to resort to methods a bit out of the box to get the answers, It is all for a good cause. oh...btw way best moment in the book: "Im on to you"
Yes, Christians can see ghosts and they are not going to hell for it. I enjoyed this book very much. It was simple without all the gadgets, well told and also made me laugh out loud. It is not a how to (speak to ghosts ) but it is a how not to ( be afraid ). 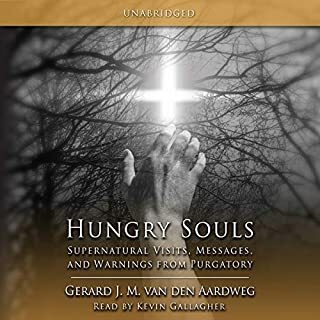 Would you consider the audio edition of Holy Ghosts to be better than the print version? I haven't read the print version so I cannot say if it was better or not. The story was a first person account of events so there was only the one character. He was believable though and I enjoyed his account. What about Gary Jansen’s performance did you like? His voice is quite good for narration and he made the story both believable and enjoyable even though it was spooky. I really enjoyed listening to this book. It tells a good story and the narrator does an excellent job. Concerning the experiences the author tells I'd have recommend him to contact a Traditional Catholic priest to perform a blessing over the house and to have Masses offered for these souls. If you could sum up Holy Ghosts in three words, what would they be? What other book might you compare Holy Ghosts to and why? Which character – as performed by Gary Jansen – was your favorite? I got a few laughs. Mr. Jansen writes and tells a good story. I read the book a few years ago, but I was in the mood for that kind of book, and I wanted to see how it would feel to hear it read to me. I did enjoy it. I gotta tell you. I was looking for a book to creep me out a little. Sometimes that's the "shot in the arm" that I need to get through some days. But this is just not one of those books. Notwithstanding, it's wonderful. The conclusions Jansen draws from his paranormal experiences are faith-promoting, that perhaps in a terribly busy world inundated with routine and monotony, a haunting is perhaps the means through which he might be a believing person. I just think that's beautiful. It's not a black and white concept that many religious people would accept, that a haunting would be a growing opportunity rather than a unfortunate event to be feared. Given that it isn't what I was expecting in any sense, in tone or in message, I give this five stars and whole-heartedly recommend this to anyone. I am old school Catholic, so it’s kind of interesting to see a religious Catholic battle dark forces. It starts out mildly interesting with dark forces/ghost, causing his wife’s miscarriage. His mildly interesting journey to identify and remove said entities ends in a surprisingly unsatisfying ending. Sorry about not giving you a spoiler alert. I love this book. Atmospheric, compelling, funny, and sometimes downright scary. More of a literary ghost story than a fright fest, but it really makes you think. Fascinating story, very well written and narrated. Like the author, I grew up in church and was told that these things did not exist. I was taught that if anything they were demonic presence is trying to keep our minds off of God. However, I have had several experiences throughout my life that have led me to believe that spirits ghost do exist. My daughter was very perceptive of such things when she was younger. She picked up on a ghost that we had in our house and was able to tell us many things about him. Fortunately, he seemed harmless and I only really had one or two interactions with him. I am glad that I have never had to fight spirits like the author did. I think the author made a lot of good points and observations in this book that enlightened me somewhat. I am still a bit confused on Christian teachings and the believe in such things but I do know that they exist. Generally, an interesting, well-written book. From my point of view, it would have benefitted from not having quite so much religious/bible story content. The writer very much sees his strange experiences from his perspective as a practicing and devout Catholic, which is fair enough I suppose but just not my thing at all.